Is it the right time to invest in a Property in Mohali? 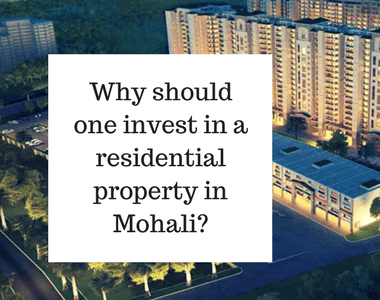 This is a very tricky question, but if we have a look over the current trends in the real estate market, then Mohali has been the hot favorite destination for those who want to invest. The real estate sector is witnessing huge growth in recent times and the demand for the residential property is also on rising. The social infrastructure of the city is also well-developed. Due to huge infrastructural developments in the surroundings, the demand for real estate properties is also increasing. While buying a dream home what would you really search for? Is it the infrastructure, architecture, locality or is that the number of facilities offered? The living lifestyles of the people have been shifted drastically over the past few years and therefore, do the concept of housing options. Today, an individual looks for a home that makes their living comfortable along with several amenities available within the complex. The modern-day Flats in Mohali are designed brilliantly to meet the expectations and requirements of the modern homebuyers. 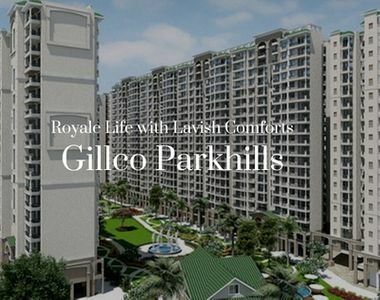 The top real estate development like Gillco Parkhills is planned carefully as per the comfort and convenience of the residents. Top schools, colleges, major landmarks, banks, ATMs, shopping centers etc. are in close vicinity and are easily and quickly accessible. Pass on in yards of calmness, the apartments in Mohali are equipped with lush green surroundings and landscaped gardens that offer the panoramic views to soothe your senses. Proper ventilation and spacious balconies make it possible for the sunlight and air to spread in all the corners. Apart from this, buying flats in Mohali are beneficial in terms of security of the residents too. The high-tech security features include CCTV cameras, gated entry, manned security and more. If you are planning to buy a Property in Punjab or anywhere in Tricity, then nothing is better than Gillco Parkhills. The development offers luxurious housing apartments in 2, 3 and 4 BHK options which are equipped with world-class facilities and features. 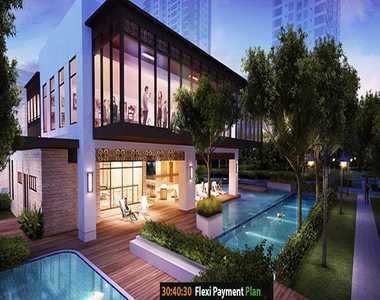 This is a high-rise development that offers you amazing facilities to make your living comfortable and where you can live all your housing dreams at the fullest. The security is hi-tech and there is a facility of video door phones also along with 24 hours intercom facility. The location of this project is thoughtfully planned to ensure the living of residents more comfortable. Located on Airport Road, all the major and basic conveniences are in close vicinity and can be accessed quickly without any hassles. If you are waiting for the right time to invest in a property, then don’t waste your time! Get up and make an investment quickly before this is too late.